Sprint Event at Prince's Island Park. Its going to be great weather for sprint orienteering so this is definitely an event that you do not want to miss out on! Remember: Don't bring metal spiked shoes as they could damage sidewalks. 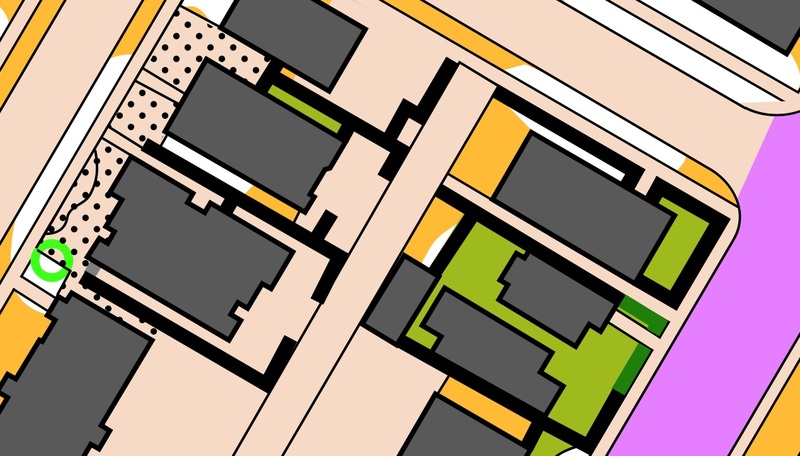 The Beginner / Intermediate courses will both take place mostly on the Island, whilst the Advanced will cross over to Sunnyside to a newly mapped area that has never been used before. On the Advanced course some legs will cross busy roads using crosswalks. 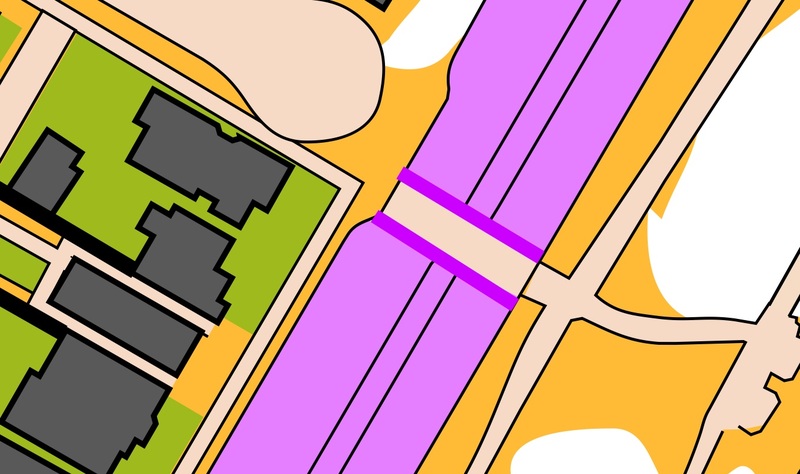 The crosswalks are clearly marked on the map, and these busy roads are marked out of bounds. 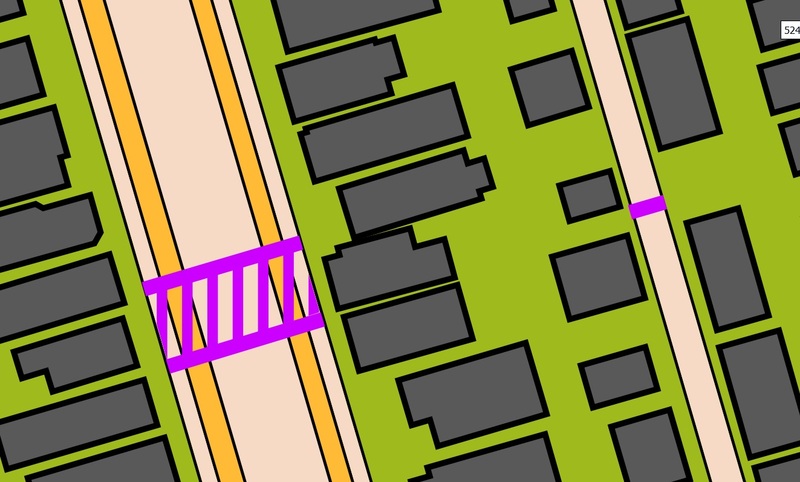 There are also artificial fences that may look one of two ways: a 2 pink lines bounding a hash area, or a single thick pink line. These are considered impassible, and therefore try to respect them during your race as they create route choice.